This is a great opportunity to get on the water and have some fun… all for a good cause. 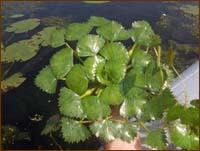 Water chestnut is an invasive plant that has the potential to spread and get out of control. It is wreaking havoc on native plants and animals and interfering with recreation on our rivers. Join us in hand-pulling the plants, which pull up easily! Join staff and partners throughout the watershed and paddle with a purpose! Most pulling events are BYOB: Bring Your Own Boat. We could also use assistance from shallow draft motor boats to help us shuttle plants back to land. We will provide supplies and instruction on how to pull the plants. It’s easy to do but technique is important. 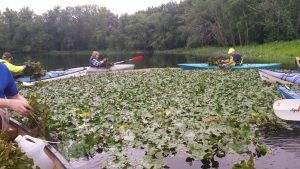 Learn how to identify and report water chestnut as well as when it appropriate to pull the plants, how to properly pull them and how to properly dispose of the pulled plants. We will come talk to your organization! Contact us at crc@ctriver.org to schedule a presentation. Pulling events typically occur from June through August throughout Connecticut, Massachusetts, Vermont, and New Hampshire. 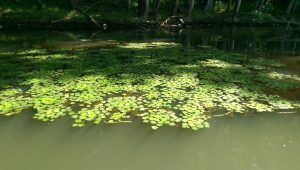 Events are part of a multi-organizational collaboration united in the goal of removing this invasive plant from all parts of the Connecticut River basin. Pulling is easy, fun, and a great reason to get out on the water! Click the links below for a list of upcoming water chestnut pull dates in each state and to register. To learn more about our other upcoming events and volunteer opportunities, visit our online event calendar. 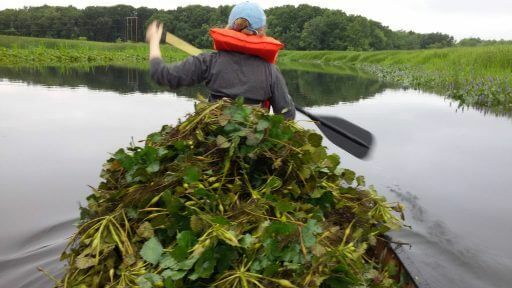 We are seeking paddling and boating groups to adopt a stretch of the Connecticut River or a cove or pond to go out and look for European Water Chestnut and report findings. CRC uses the convenient app “Epicollect” to make it easy to report water chestnut sightings or negative reports — those are important, too! Here’s how to report to us right from your smartphone. Epicollect 5 is available for Android and iPhone. It’s free! Report to Us – Fast and Easy! When you are out on the water and have either found plants or searched an area and found none, click “Add Entry” and follow the prompts. If you have found plants please take a photo and upload it for verification purposes. Important note: make sure your locations services are set to accurate in the settings if you are using an Android Phone. However, be aware this setting may drain your battery faster. Make sure you upload all of your entries once you reconnect to Wifi/internet so that we can see your entries.